When and if you succumb to the fine art of Donut Farming (as I reluctantly admit to doing recently), you are going to start also becoming a player that is at least casually obsessed with Bonus Percentages Earned from buying and placing a variety of items in your town, which may or may not be bought for their beauty or intrinsic value, but entirely for what they earn. It’s like the difference between having a nice tile roof on your house, or an array of solar panels. The tile probably fits the architecture and original intent of the structure…but, the panels are EARNING their keep…all of the time. Or…think of it like fertilizing your crop. When you add items to your town that have Bonus % increases, every KEM you farm, every character tapped, every rent or menu collected, will yield more donuts per square green patch. 30 KEMs with a multiplier of 200% will generate 1.2 donuts while those same 30 KEMS will generate 1.7 donuts with a 600% multiplier (at least according to Safi)..until you reach level 939. See His CHARTS HERE. Man…OK…so it still sounds complicated. But, using our fertilizer analogy again, your KEM plant will generate way more buds, if you fertilize it with Bonus %. 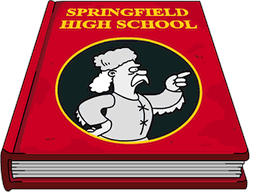 Wait…are were still talking about TSTO? And what kind of plant are you growing there, son?? As a recent convert (I won’t go into the why right now), I also started caring about Bonus % for the first time. The two go hand in hand. If you are going to take the time to farm Bonuts…you better pay attention to the BO-part of the term Bonuts, as in Bonus Donuts. Especially after you crest over the now-storied Level 939, and find yourself having to earn TWICE the number of XP (currently 1M) vs 500K (again currently before you hit 939). So…Bonus % Items Really Start Mattering…if you want to play in the “big leagues of donut farming.” I’d like to come up with some romantic or cool term for the “Big Leagues of Donut Farming,” like the “Sprinkle Show,” or the “Big Time Donut Duster” or the “Tragically Obsessed Addicts Who Play Too Much For Their Own Good.” But, now that I am aspiring to be one of them, it is a waste of time and space. I’ll just call it, BTDF… Big Time Donut Farming. But, why does the Bonus % matter so much to BTDFers? In laymen’s terms…since the changeover to eliminate regular Level Updates as events, you simply are rewarded One Bonut, for every 500K in XP you earn…up to level 939. You will be surprised how quickly a few weeks of farming will zip you through those levels. When I first started writing about this…I was at level 267. I just blew past level 800…and am already dreading the diminished return at level 939. So…for the FIRST TIME, in over 5 years of playing…I am finding myself looking at the bonus percentages, and buying Mystery Boxes…where a lot of the “Cheap Bonus % Items” can be won, for just 6 donuts. Let’s not get confused here…it is another form of “gambling for the good stuff.” But, the cost of playing is so low (especially when compared to some of the Black Friday and Cyber Monday Prize Boxes) you can justify it EAsily. So when you look at the chart(s) below, it starts to make sense why players who had hundreds of donuts over time, bought one, two, three, or more whales. They offer a QUICK increase in return. HOWEVER…when you look at the return -vs- investment (ROI) of an item (% Per Donut Spent), you quickly realize that spending 350 donuts for 7% points is a whopping 50 Donuts per % point…yikes!! If you take a quick look at the chart you’ll find HERE (simpsonswiki), and you click the column marked “Donuts Paid for 1%,” you will get a good idea that your target cost per donut spent should be around 20 or 30 tops. So….if you can actually get a Jet Engine Bike (which usually costs 30 donuts) or a Channel 6 Van, (which usually costs 40 donuts) for just 6 donuts...you start to see why people swear by the Mystery Boxes. I got both, within the first few cycles…along with a couple of Itchy and Scratchy Billboards…and a couple of items I ended up just putting in storage, because they didn’t have bonus % earning. Yes. I am hooked. I am now grinding for donuts (XP Accelerator) for the optimum number of KEMs (so as to stay static with my cash), so I can buy MORE Mystery Boxes, to raise my Bonus %…knowing that I need to boost my harvest yield every time I cycle…or I will soon find myself with half the return, for the same amount of work, once I reach 939. But in the meantime…here are a couple of charts with the majority of items we have in the game, and what they earn…one is alphabetical (left column) so you can find something quickly. The other (right column) is in order of % return. But, again….don’t be fooled. A lot of the items that don’t return as much, cost waaaaaaaay less…making them a better buy. Capiche? Have fun. 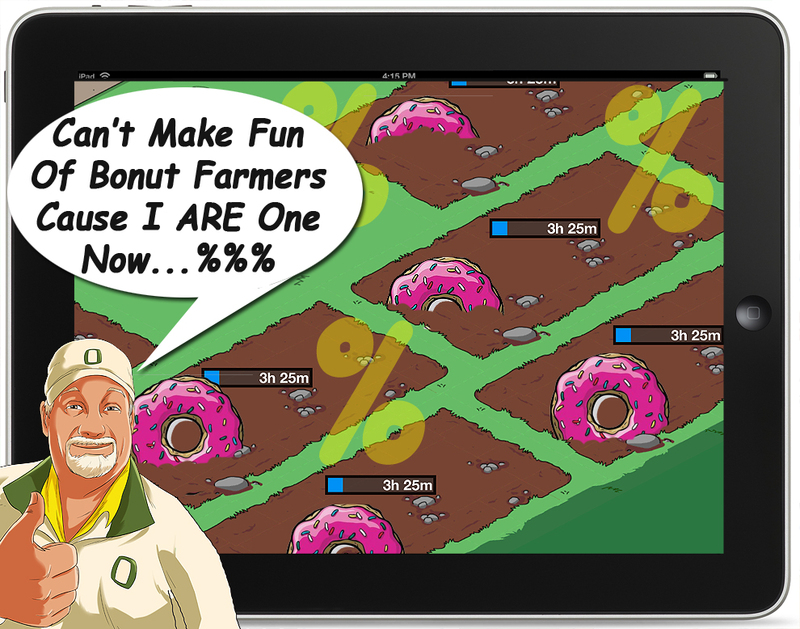 Take advantage of the “Fertilizer of Donut Farming” without overdoing it. Nothing….even juiced up donut farming, is worth sacrificing so much time and effort, that you lose sight of REAL life. Right? 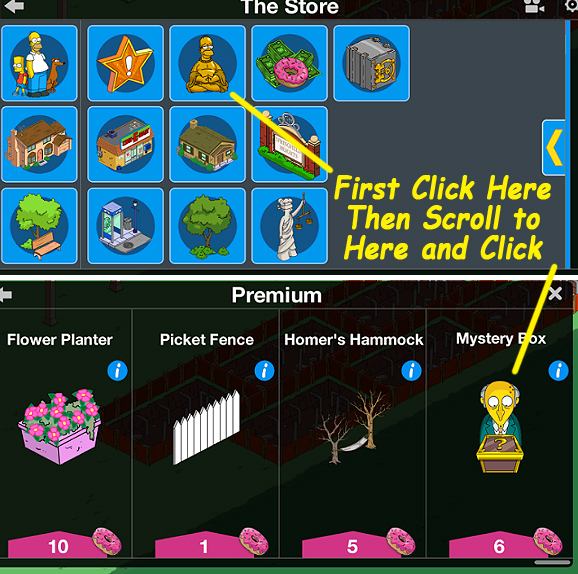 This entry was posted in Donut Farming, free donuts, Tapped Out and tagged donuts, free donuts, Should I Spend Donuts On, simpsons tapped out, Tapped Out Tips and Tricks, The Simpsons Tapped Out, TSTO Addicts, TSTO Community, TSTO Donut Farming, TSTO Tips & Tricks, TSTO Tips and Tricks. Bookmark the permalink. or gold ever stop counting? When I read this post the beginning of December, I looked at my stats and saw that I had a visual bonus % of around 295, almost all the heights buildings finished (and most of them stored) and my game level was 248. I decided to give it a go! First I took all my height buildings out. I had about eight million cash and enough landspace so I decided to buy the 10 day accelarator and build 60 KEM’s. I needed just under 9 KEM’s for 500.000 XP, so with my hidden height building bonus my XP bonus was around 550%. After 10 days my cash was down to about 2 million, but my level went up to 480. I took a six day pause to gain cash (back to 8 million) and went for another 10 days building 60 KEM’s. Meanwhile my visiual bonus gained a lot with all the cheap Christmas bonusses and mystery boxes, I went up to 320% visual. After the second 10 days I was at level 740 and decided to continue with building 48 KEM’s which kept my cash level even. I reached 939 last week, so it took me about 36 days. That was way faster then I had expected at the start. I am now at visual bonus % 351 and still building 48 KEM’s, but the 50.000 avarage I need to find the box with 3 donuts might bring me down to 40 KEM’s, I need 16 KEM’s now for 1 mln XP. One thing no one mentions is in game Cash=real life time. Your multiplier relies on cash just as your cash relies on your multiplier. In plain terms if I send no one on jobs and I also store my income buildings I wouldn’t need the multiplier because I’m making NO money. So how does one go about making money and how does one translate that to time in real life? Easiest way is to farm for the mystery box. No shock. As that multiplier stacks you have 10, 20, 50, 100 lard lads? Let’s assume with heights bonus you have 500% bonus, or 6x cash. 135(lard lad)x6=$810 per 4 hours. This is one of the highest income buildings in the game for a 4 hour stint. Complimenting the 4 hour KEM cycle. AND it’s a bonus to the 1% bonus every 7-8 donuts spent getting news vans and billboards. Free premium buildings….are they ugly? Yes! Do I have 100+ in my town? Of course! I personally get enough every 4 hours off them to set up 30 kem on lard lads alone. You can do your own math on what it all looks like, but for me I sacrifice looks in order to have convenience of cash, which means less taps per log in, and more time doing what I like. Living my life. Just re-read this and wanted to suggest one point of clarification to Patric’s post. The “diminished returns” after Level 939 are not as scary as one might think. The bad news is that it is 1,000,000 XP (twice as much) to “level up.” The good news is that you no longer earn one donut per level. You get the “box” system with one, two, or three donuts–and the chance to try again for $50,000 per try. The bottom line is that the donut rewards are actually BETTER after Level 939. Or, to be a cynic, they’re statistically the same for a minority players, and better for most players. For players without extremely high XP multipliers (those below ~1,500% XP bonus without the accelerator turned on), leveling up after 939 is better. Even though it takes twice the XP, you get THREE TIMES the donuts. On average (in the long run), you will have to try again one time to get three donuts (one third of the time you get three on the first try, one third of the time on the second try, and one third of the time it takes three tries: 0+1+2=3; 3/3=1). So, for double the XP and a $50,000 fee, you get 3 donuts instead of 2. For those with super-high multipliers who decide that the $50,000 option to try again is unprofitable (or unprofitable in certain circumstances, such as when you get two donuts on the first try and that third donut comes at an average cost of $75,000), the post-939 system is, at worst, a push. You need twice as much XP, but you should average twice as many donuts (two) each level vs. the one-donut-per-level system up to Level 939.. Correction: “So, for double the XP and a $50,000 fee, you get 3 donuts instead of 1.” Stupid brain! All good…and yes, I agree in theory. However…the simple facts are, it costs twice as many XP, which diminishes your take for the same number of KEMs…and increases the amount of cash needed to max the return. SO…if like Safi has suggested that the best way to farm is to stay static in your cash (only place as many KEMs as you can afford in game cash to remain even), then you need to factor in the added cash to play “the guessing game.” If you just take whatever result you get on the first time, you may remain static, but may also remain with 1/2 the take for the KEMs placed due to the doubled price. It’s pretty simple to say…”more expensive,” because it can be, if you are comparing cost per donut earned. Patric: Given the progressive pricing of KEMs, you have a good point. “In theory” twice as much XP should cost twice as much cash, and if you’re willing to wait it does. But to buy twice as much XP in the same amount of time, you pay more than twice as much. Alternatively, you take twice as long (and time is a resource, as is the investment of donuts to keep the XP accelerator on). It’s really hard to run numbers because there are too many variables: bonus percentage, KEM price, “cash income,” how often a player logs in. All of these impact the real price one pays for donuts. So it does mostly come down to playstyle and preference, and you sort of get a sense of your donut income through practical experience. The numbers can help guide you (e.g., seeing that I pay about $40,000 per donut through farming convinced me to stop trying again on “Where’s Maggie?” when I get two donuts on the first attempt, because I’m basically paying $225,000 for that third donut), but I don’t sweat the margins. He is correct – it’s a push because you’ll average twice the donuts for twice the XP. And, trust me…farming is better after you get to 939 (especially since, theoretically, you’re also plowing at least some of those farmed donuts into buying bonus-multiplier objects along the way, so, at some point). At 939, at least you have the option to get three donuts if you have cash to spare and, as your multiplier goes up, you’ll have mode cash to spare (and there’s only so much of that you want to plow back into getting more KEMs….there’s only so much land and time, after all). Look…for the record, I am never going to be a full blown dedicated farmer. And what you seem to be missing, is that the “Safi Way” calls for staying relatively even with cash spent while acquiring donuts. Sorry…but if you are spending “excess cash” you aren’t playing Safi parity. And…I will NEVER spend the time and effort to reach 1009%…ever. The hours, and grinding, just aren’t my thing. At all. I have better things to do with my time. Now…Let. It. Go. You and I are NEVER going to agree on this. Ever. You might as well try to convince me that cutting coupons is a worthwhile effort… My time is worth something. I am enjoying the moderate way in which I farm…casual…controlled…and NOT obsessive. I am at 350% currently…and will only be adding things that I LIKE…not a bunch of stuff just to be able to acquire more donuts…in a game that has NO real value to the majority of my life. Everybody seems to be putting their tuppence worth of advice in here so here is my take on it…. Level 939 with diminished returns – not in my book, just bring it on!! But, I DON’T farm houses. I just don’t like the look…and it is one more thing to mess with. I am working on creating a block surrounded by water to fit my 36-50 KEMs…far away from the rest of my Springfield. As I continue to get the Free Land, which is in a weird spot for my town anyway, it is being dedicated to stuff I want away from my regular town. Outlands and my Holy Land are in this weird “Florida” extension…I will also have my KEMs there as well. Wooooooooooooooh. Freaking game changer. The Rat Trap truck!!! And you don’t have to wait 4 hours!!! You guys have just saved me a mountain of cash. Started with 453 donuts ended with 874 donuts! WOW!!! Thank you for that awesome and GI-NOR-MOUS list of xp items! That must have taken forever to do!! Anyhoo, until recently I was one of those KEM farmers and I did manage to make about 600 doughnuts in less than 10 days but I got worn out so unless I am bored or broke I will likely just spend the bucks to get some dough! They say “do not open the third box of bonus donuts when you reach 500k / 1m of xp”. Why? Why do need to save those measley 50k? The ingame cash is free and flows freely. I have excess 99% of the time. Besides, that’s the whole point of farming. You use useless cash to get useful bonuts. My take on that – open all 3 of them and get the most sprinkles you can. I always do that with “Where’s Maggie”…and most who are farming also have ways to generate tons of cash. So, I don’t get it either. High five on the confusion? I will buy up to 3 donuts if I get 1 on the regular level up, but not if I get 2 on the first try. I never pay for extra tries for Where’s Maggie or for special events. The cost for another try is $150,000 which will buy more than 10 KEMs at full price. With my multiplier (around 750%) I only need 9.9 KEMs per level-up, so I’d rather spend the $150K on 10 more KEMs. I try to keep my money at an even level between events (10M right now), then buy all the new land whenever an event starts. Once that happens, I run my KEM farm a little leaner to get my reserves back up. New land is extremely expensive. Or…you could just do as I do, and remember that it is ALL pretend currency…so spend a lot, save a lot, it all adds up to the same thing when it’s time to pay the rent in the real world. It’s really simple. OK, it’s kinda simple from a math angle, but there’s no right answer here when it comes to how to play the game. Math-wise, tt comes down to ROI. I won’t walk you through all the numbers (it’s long, boring, and I saved all that stuff on another computer), but suffice it to say I could write a whole series of posts on this stuff. * Short answer: you will reach the point (in terms of bonus percentage) where you are able to “buy” donuts by farming and “leveling up” for LESS than the cost of “try again” donuts. Depending on what level you are (or if you’re playing “Where’s Maggie?”), the price tag for another donut through trying again can be low as $25,000 (getting one donut from leveling up and paying $50,000 to try again, winning two more donuts). Or it can be as high as $300,000 (getting two donuts on “Where’s Maggie?” then trying again twice for the third donut)! When you calculate the average cost per donut of trying again in certain situations, it can be far more expensive than simply saving the cash and using it to farm more. By my math, at 1,500% XP raw bonus (including “hidden” bonuses), a KEM farmer should NEVER try again unless it’s $50,000 with a chance to win MORE than one donut. I don’t have all the numbers in front of me, but it does not take a massive bonus percentage (just a few hundred percent, and turning on the XP collider) to make trying again on “Where’s Maggie?” an “unprofitable” move by ROI standards–especially if you win two donuts on the first try, because your average cost for the third donut is $225,000. My bonus percentage is under 1,000%, and it’s unprofitable for me to EVER try again on “Where’s Maggie?” and slightly unprofitable for me to try again I get two donuts on the first try from leveling up. The numbers are going to vary based on HOW you farm (do you just buy expensive items, or do you patiently build KEMs?) and which try again scenario you’re facing (which game/level and how many donuts you got on the first [or second] try). So really, there’s truth to the idea that we all play differently. Patric is right (and has written some wonderful prose) about maximizing a resource more important than in-game cash: your time. For me, I’m someone who LOVES a bargain and figuring out how things work, so I would rather spend a bit more time and get the maximum donut reward for my in-game cash (it’s NOT unlimited). And given that this is a post about maximizing ROI and KEM farming, I find it curious when people are confused about when people discuss farming strategies and yet balk at the idea of rethinking the try again decision. If you view cash as infinite, then just buy $150,000 Rat Trap Trucks ($10 per 1 xp), $132,000 Bloodmobiles ($10/xp), $9,500 Weather Stations ($9.5/xp), or $4,500 Volleyball Courts ($9/xp). Seeing a trend? The less work, the less value. All those provide instant gratification. We WAIT (four hours) for KEMs because of the ROI ($7.2/xp at maximum price, and far less for KEMs before the 25th). So, as I see it, if I’m willing to wait four hours to save cash, I can pass on donuts from try again if they’re too expensive. But I understand other views on saving time. *A few years back, I was on the verge of writing a series of posts on the math behind farming, trying again, XP bonuses, etc., which I was going to pitch to the team. Real life things got hectic (mostly in a good way), and then Safi joined the team and covered many of the issues I was compelled to write about (and I’m psyched he did, because he has great insights!). I think CONRAD takes the cake for highest % for footprint. It’s 5% on 1×2. It seems common for items to be 2% on 2×2. I’ve been farming blood mobiles with the xp collider turned on. Is it more efficient tonis kwik-e-marts? Blood mobiles just eat up more cash… Safi’s method keeps cash static. But, again, there is no WRONG way to play the game. It’s all personal and subjective. Yes, it is more efficient to farm Kwik-E-Marts. The instant gratification vs. 4-hour wait gives higher percentage returns. Is KEM an acronym? Can one person please spell it out? What is it?!?! Tried to post a comment – but got an error message – ‘Sorry your comment can’t be posted.’ So if if this is a duplicate, please ignore…. Most of the the mystery box items can be sold – car, cart, pond, etc. However, Lard Lad can’t be sold. How many Lard Lads are in your inventory??? As a completionist I have taken a different approach. Rather than farming multiple buildings (I think it looks tacky) I just try to play 60 min tasks and an 8 hour overnight task. I buy the maximum 10 days bonus XP. So far using this method with 60 mins tasks I’m averaging 80 donuts in 10 days. So a 55 donut return. If I stick to 4 hour tasks I’m still managing 35-45 donuts per 10 days. Is there any other 100% completionist with similar methods? A word of caution, work out the likely return before feeding the collider if you decide to try this for yourself. You need a good bonus or an awful lot of characters for this to work. This summer I had around 140 characters on 60m tasks, a lot of buildings including a cash farm of over 1000 assorted repeatable buildings and was averaging 4 levels a week. You’ll get the same from daily tasks and the railyard and mini games anyway so I’m only considering donuts from level-ups. If I put the collider on for a week, that’s 20 donuts at a cost of 20 donuts leaving a donut shaped zero to show for it. I disagree. See the pdf below. If you farm 4 to 5 times a day, even at low % an cash, turning the collider on (10 days/25 donuts) can be worthwhile. And while go for 7 days for 20 donuts? 5 more donuts get you 3 more days. Purely to clarify, the OP says they do not farm, and my reply was from the days when I kept KEMs for $s rather than farm them for XP. I now plant 40 KEMs at a time with triple the bonus, and add 10 days at a go to keep the collider constant. On a bad day I’ll only get 2 rounds and 8 donuts but a good day is 5 rounds and 30 donuts. I’m back from wiped out when Kang+Kodos landed to over 230 and waiting to see what the event brings, then it’s back to bonus building. Still, you would be better off buying for 10 days at 25 donuts. By buying Mystery Boxes I have gone from 246% to 337% in 27 days. Reducing the number of KEMs to level up from 19.69 to 15.64, or $43,740 savings at the maximum KEM cost. Apart from the one time I forgot it was due to run out and spent all my sprinkles that’s what I do. That meant thanking the railyard for 1 days worth of collider boost, used to farm 1 weeks worth and after a couple of days I could add the 10 day boost before I messed up again. I think my bonus is 45x. A 1xp task yields me 45xp. If I were get into farming as I imagine I will have to after level 939 is KEM the best option? Seems excessive to have to check in every 3 minutes. Is there a 60 minute item or building that would work better for 60 minute gameplay? Read this post here on KEM farming. You do it by building KEM every 4 hours, not by collecting their income every 3 minutes. I have the collider on all the time (costs 2.5 donuts per day) and have a 36-KEM garden (even one harvest per day is profitable), bonus percentage listed as 432% plus all the Heights hidden XP bonus. From all the building and task XP (various times for tasks, I just can’t let Kirk sit crying in the shower for 4 hours or let unibrow baby smash butterflies), I usually get 9 donuts every four hours and my cash is still increasing. It’s hovering around nine or ten million dollars at the moment. I’m picking up extra donuts every couple of days with rat trap delivery trucks to get more Snowball statues (2% bonus for 20 donuts, 1 donut rebate) since my just barely feasible goal is to get all the stuff in that Christmas mystery box unless I get all the really good stuff first. It probably takes me 2-4 days to recover financially from a 20-donut rat trap delivery truck spree, which depletes my cash between 1.5 and 2 million depending on my guesses for the donut boxes. I can’t resist paying for all necessary donut box tries for Maggie and the level ups… I am not emotionally able to stop at the first or second box. But it usually only takes me one or two tries. I also pick up Maggie’s 3 donuts about every 3 days and 5 recycling donuts every day or two, depending on how often I check and how much of the team is busy with quests and events. The daily challenge often brings in some donuts also. But you can never have too many ice cats. I might go on a really wild rat trap delivery truck spree to get as many Snowball statues as possible early, but my fear of in-game poverty is blocking me. Am working on it. I survived for many months hovering between 1 and 2 million dollars, its not as though I’ll be evicted. I just got used to the unusual security of lots of in-game cash (started with almost 16 million when I had just a 25-KEM garden). Basically, none of this farming and bonus frenzy is obsessive as long as you are enjoying it. I usually get walk in place exercise while playing, so being extra diligent for a month actually can make me healthier. I figure playing the XP bonanza mini games will also help stave off dementia. Or something. And yes, I know buying more mystery boxes would be much more cost-effective with regard to bonus percent/donut spent than cleaning out the Christmas mystery box…. .
My way of farming is simple. I need to have time and ingame cash. Whenever that happens I buy 1 day pass and try to get the most. Yesterday I got 93 donuts in 24 hrs (could have been more, but I missed 1 4-hr period). My bonus is around 230% and that means that every 10 KEM I get a donut. But I am about to level 939 and that will affect the payout. It will be 3 donuts every 20KEM. Not bad, hah? Love it! I made a mistake though. My bonus multiplier is just over 260%, not 230. I started farming about a year ago but am not (yet) a BTDFer. My focus has always been on having enough donuts to buy most of what I want, and that has worked well for me. Yes, I could get there even faster if my sole focus switched to increasing my %, but I wouldn’t have had enough donuts along the way to buy many characters that I’m very happy to have in my town. Over the last year, my characters (in particular) have risen at a much faster rate, and my % has increased from 150% to 500% without trying too hard (no 6 donut mystery boxes but LOTS of event mystery boxes and rebate items, especially from the vault). I’m now at the point where I often have spare donuts, so, after seeing what’s available for Christmas, if I still have extra, I probably will start slowly buying 6 donut mystery boxes. Also, I do occasionally buy donuts or scratchers because EA does have to get paid if we want the game to continue. Just thought I’d share a more relaxed view of farming (even though, yes, most days I consistently build and sell my farm 4 times. Also, to anyone, farmer or not, if you haven’t already and want to increase your percentage, invest in all 5 of the Beach hideaways. This was my one aggressive attempt at increasing my %. Once upgraded with all pieces placed, that’s 40 donuts for 20% per or 200 donuts for 100% for all 5. You won’t beat that return. Can you get a Jet Engine Bike from Mystery Boxes? Or did you mean to say Itchy and Scratchy Billboard? You can’t get Jet Engine from Mystery Boxes, probably a typo. Only Itchy and Scratchy Billboard and News Van give you 1% and 2% respectively. It was a typo…no jet engine bike from there…got it in a Vault offering. Charts may have become obsolete though. Dynamic pricing for KEM seem to have gone away. It’s a flat 14400 in my game for the last week or so. Not in my town. Pricing is the same. Check your inventory and see if you accidentally stored some instead of selling them. I did that once but would’ve bet loads of money that I hadn’t. Oops. Nope – check your inventory….sounds like you’ve accidentally stored some KEMs instead of selling them. (We’ve all done that at some point.) Prices are still the same. That is the price after 24 KEM. Before 24 pcs you have your dynamic pricing. If you check your inventory you will find a score of KEMs. Sell them all and the price of the first one will be 220 game cash again. I’m an idiot! Just as others commented, I thought of checking the storage to find about 25 KEMs there. Must have clicked store instead of sell. You need to sell the KEMs each round, it is not like house farming. I don’t get it. It’s so much effort plus you don’t control the look of your town because you actually just work (yes, you work) and cram the stuff in your town whether you want it or not. It’s your way to play it, I want a beautiful design that is in my hands and no stress. Maybe I try K mart farming and if it does not fit for my style of playing, I sell them. I wonder if this obsession with working and collecting something both human and partially out of your control like an addiction? I know, here are the addicts but ain’t that too much of an effort for just a mobile game? Not really. It takes me just a few (like around 3 or so) minutes to farm about 70 KEMs, and I have hundreds of billboards and news vans hidden behind buildings and such. If you visited my town, you’d never suspect they were there….my town may not be the absolute cleverest I’ve seen, but it’s all nicely laid out and decorated, with no cache of multiple items showing anywhere (except where it’s part of the design, like the tennis courts at my country club and except when I’m KEM farming). Here’s the thing…it’s all an investment. I spent a few months building up my bonus multiplier and now I only rarely have to farm at all (I think I’ve farmed fewer than five times in the past two or three weeks, total), while being able to buy everything I wanted from all of the recent mystery boxes (with plenty of donuts left to spare for whatever the Christmas event brings). It’s a short-term process for long-term cash and donut “security.” Some people call it an obsession, but I think it’s just the opposite….the time I spent building everything up before means that now I can play this game as leisurely as I’d like and not have to worry about not getting stuff during events and promotions. I invested my time, and now it’s paying off in more free time, lower stress during events, and lots of in-game goodies! Focus on KEM farming and buying mystery boxes to increase your bonus multiplier. Run the collider at all times. Try to get to level 939 as quickly as you can. Send your characters on the shortest tasks you can manage, to build cash. Make sure you have all of the Springfield Heights buildings out (except for the resorts). First purchasing priority, before mystery boxes even, is to buy all of the beach hideaways and all of their pieces (which will add you 100% to your multiplier. It’s not a few weeks of work – it’s several months of work (or more….before I started KEM farming and buying mystery boxes, I had already gotten to a multiplier of….200 or 300?…from a combination of just playing and from a couple of one-off situations I was able to take advantage of (the tennis courts, for example)). I just wish the 35 years I’ve been working in real life would have left me as “cash-comfortable” as the many months I sent working had left me “donut-comfortable,” but expenses are much higher IRL, lol! I winder of it’s tied to the intermittent WordPress problem I’ve been having for the past two or three days, in which I have to keep signing into both the site and to WordPress every time I’m leaving a comment? No Addicts…this is NOT a comment from me, posing as a poster with common sense! LOL! Deb…trust me on this. 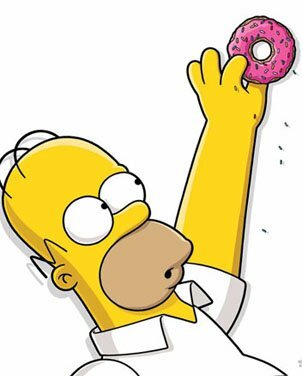 Addiction and compulsion come into play very quickly with Donut Farming. I gave up…only because it is a way to earn Free Donuts…without spending real money. However…yes…at some point very early into it…you have to ask how much your TIME is worth? You can pay a commission to the unemployment office to send all available characters on tasks of set length. That would probably compensate for farming time, unless you have a huge farm. You also can let the game decide where to place the KEMs, setting aside a much larger area. I like neat rows, though, and figure it’s good practice for my brain. You need to sell them each round. So it only takes a small area and will not ruin your design. I found KEM farming (combined with MY buying to increase %) gives you the greatest return for action in the game. And unlike the eliminator or monorail doesn’t prevent you from doing anything else. Level up to 939: 500k xp = 1 bonut. At Level 939: 1 Million xp = 1-3 bonuts chance. 1) In general, walk away when it’s 2 Bonuts. I know, it’s hard with those twinkling lights. But save that $50,000, put toward KEM farm. That’s 3 KEM at the most expensive price. 2) If you get 1 Bonut on 1st try. Pay $50,000 for guaranteed +1 bonut. If you win 3, awesome! That’s $25,000/bonut! 3) Never pay for 3rd try. That $100,000 could get almost 7 KEM (6.94) at most expensive price. After a few rounds, you’ll see your KEM Farm grow by a row of 10. If it takes 20 KEM to hit 1million xp, then you’ll get another shot at 2-3 bonuts very soon. This strategy will SCALE your KEM farm fast and guarantee 2 bonuts per round. Man, I can’t thank you enough, man. Great insight! 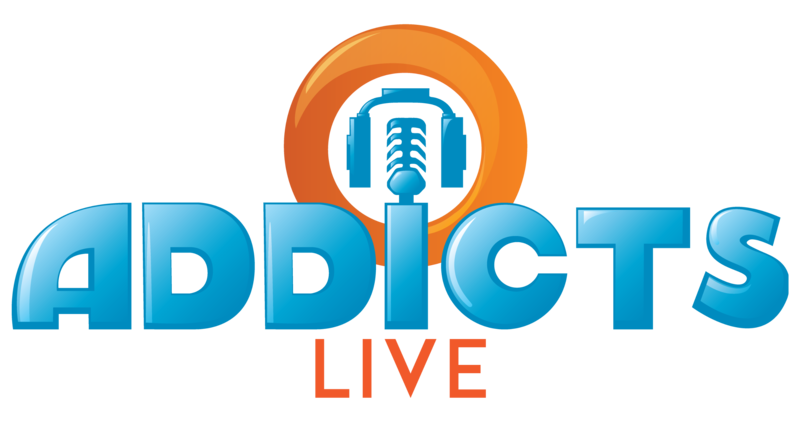 Love from Texas to you and all addicts! That’s the analysis that Safi did, and it’s accurate for CASH-value. The difference is TIME-value, as in how much real-world time it takes to reach a specific number of donuts. A cash-efficient process might mean it takes 3 calendar days to reach a set number of donuts. Spending more cash means I can reach that number in 2 calendar days. Once the bonus % really gets up into the 500%+ level (plus hidden SH bonus), I kept tapping until I get 3x on every box because of the time-value. KEM-farming being a virtuous cycle where more farming leads to higher cash/XP generation from new buildings/characters as well as bonus-increasing objects, it can eventually become a case where the size of the KEM farm is limited not by the available cashflow but rather available time/patience. That’s how I prefaced it. It can help lower level players. There was a time I was stuck turning all my in-game cash into donuts 100,000 at a time. After a while, I built that up to 3 million. That’s right, 3 million at a time on KEMs. My farm went from 10 KEM to 70+. I’m no longer playing like this, but it helped build up my reserve. I made myself broke by leveling up too fast so I was advising people not to do the mistake I did. BUT, play as YOU want, that’s what the game is for. That’s what i love about this game. Against headache or as anticoagulant? It’s good to remember everyone has their own unique style. How often they tap, what they “buy” and where they place it as well as the stuff events and crafting offer. Some even have multiple games to try out different things, so no matter how you tap, well, that’s just you and your own style isn’t it. Have fun and happy tapping.